That was how Aston Lark Limited group chief executive Peter Blanc (pictured) described his foray into insurance back in 1988. Now he’s at the helm of a Corporate Chartered Insurance Broker. Insurance Business caught up with the industry veteran, who tells us a lot is going on at Aston Lark – the product of the transformational deal between independent brokers Aston Scott and Lark Group. Blanc shares what he thinks is fun and frustrating in insurance, as well as his focus moving forward. What made you pursue a career in insurance, and what made you stay? Entirely by chance… I landed a summer job with Legal & General after my A-levels – it was supposed to be for three months before starting university but after just a few weeks I was hooked. Broke my mother’s heart when I came home and told her that instead of going to university to become a doctor I was going to stay in insurance instead! Absolutely the best decision I ever made. Within a few years of starting a career in insurance I was meeting clients from all types of businesses, broking risks to underwriters, helping clients with difficult claims, and learning something every day. It’s such an incredibly diverse and interesting business it never fails to amaze me how it gets such bad press! In your three decades of industry experience, what would you say has been the most notable change particularly when it comes to broking? When I started at Farr Insurance in 1989 we had a “green screen” computer system, no mobile phones, no fax, no email, no internet. Searching for solutions often involved referring to the Insurance Buyer’s Guide – paper version! Since then the whole business has embraced technology and it will continue to evolve to enable customers to take advice, buy cover, and make changes slickly and efficiently. 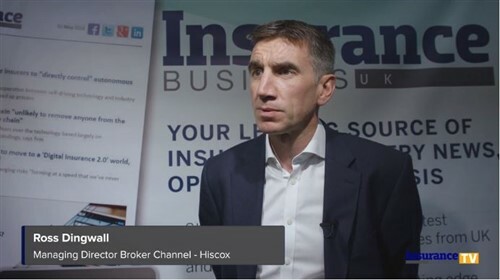 What hasn’t changed is that it is still a people business and being able to communicate effectively is still the most valuable skill anyone working in insurance needs to acquire. What have been the biggest challenges for you? Learning about corporate finance and successfully acquiring businesses has been fascinating – planning out how it will all fit together and work for the benefit of clients and staff is great fun. I still also get involved at the coal face, helping to bring in larger customers and renewing my longstanding personal clients – which brings its own challenges. I find some of the bureaucracy that still exists in the placement process very frustrating and it’s one of my longer term goals to do something about it. I love insurers with a “can do” attitude and I hate any attempt to rely on small print to avoid treating clients fairly. 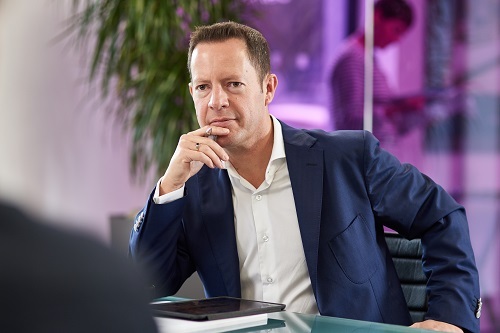 Following the merger of two of the largest independent insurance brokers in the UK, what goals or priorities have you set for yourself as group CEO and for Aston Lark? I’m really proud of the Aston Lark business – we have an amazing group of people who are led extremely well by Stuart Rootham (group managing director) and his team. We have an ever-growing pipeline of other brokers that may one day want to join our team, and my role is to help make that happen. I’m also focusing on our organic growth – embracing digital marketing, growing our niche specialisms, attracting talent, and constantly seeking out new opportunities. The possibilities for our business are endless – we’re large enough to take on the biggest challenges but small enough to do it in a caring way where our clients and staff will always come first. If you were to leave insurance for another industry, which one and why? I’ve really enjoyed my exposure to private equity companies. I worked with Caledonia Investments while running Oval and I’m currently working with Bowmark Capital at Aston Lark. The PE guys get to play with lots of different train sets which definitely appeals! Name one thing your broking peers probably don't know about you. Apparently I say “that’s ridiculous” far too often. I’m getting more and more unreasonable and demanding with every passing year!